With our garden designers’ expertise, your family garden can be an all-weather hive of activity. The key is careful planning with consideration for both form and function. We always look to customise family spaces for the way you intend to use them. Wondering about your garden size? Small size family gardens in London can be a challenge when it comes to pleasing the whole family. But rather than cramming a lot into the space, we should consider what a family needs. Comfortable corner seating or a simple picnic table in a space framed with pot plants or shrubs lends itself to a range of activities—from outdoor reading and eating to teaching the kids how to garden. More space equals more options. Think functional kitchen areas, smart lighting design, and seating areas that are more of a feature. We can also incorporate play equipment and lawn space into a timelessly tasteful family garden design. Large family gardens give us plenty of room to customise spaces for the whole family. That means play areas and relaxation spaces for kids and parents alike, from sunken trampolines to gyms. Fish ponds, swimming pools, fire pits, and illuminated reading nooks can also be incorporated into the design. Meanwhile, large border plants and trees can help to create an intimate feel. We also realise that families can have little time for garden upkeep. That’s why we suggest smart watering systems for family gardens that practically take care of themselves. 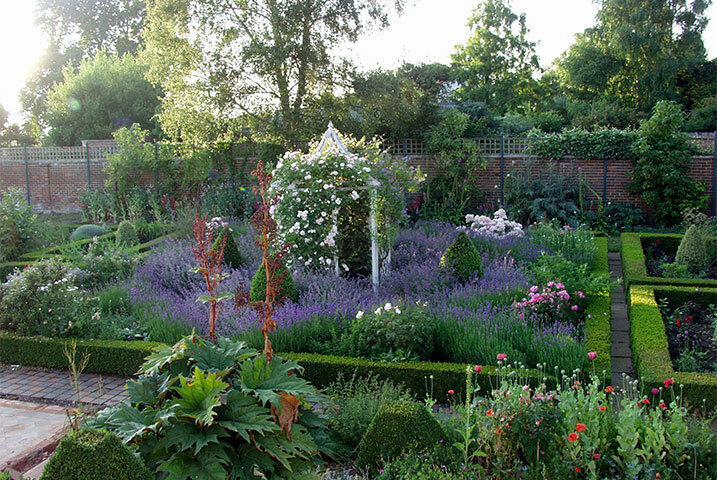 Jonathan Mark is renowned for family garden designs in London and beyond, including Surrey and Kent. Our intuitive approach is based on years of experience not only with garden design but with raising families of our own. Obviously safety is a major consideration when styling roof gardens in London for families. Boundary green walls with perspex viewing ports allow kids to satisfy their curiosity, while family-friendly roof garden features can keep them away from the edge. Think paddling pools, water features, and hidey-holes. Your family roof terrace in London is a place to spend time as a family. Seating is key for any family garden, and London roof gardens are no exception. Why not make the most of the airy feel with stylish suspended seating? Or shelter from the wind together in a soft and snug sunken lounge space. Child-friendly landscaping materials prioritise visual appeal. Whether for stone patios and courtyards, wooden terraces, or gravel pathways, we’ll find the best for your needs and budget. Hard-wearing materials are great for families, for example. But so are interesting colours and textures from natural stone and wood to artificial resin and steel. 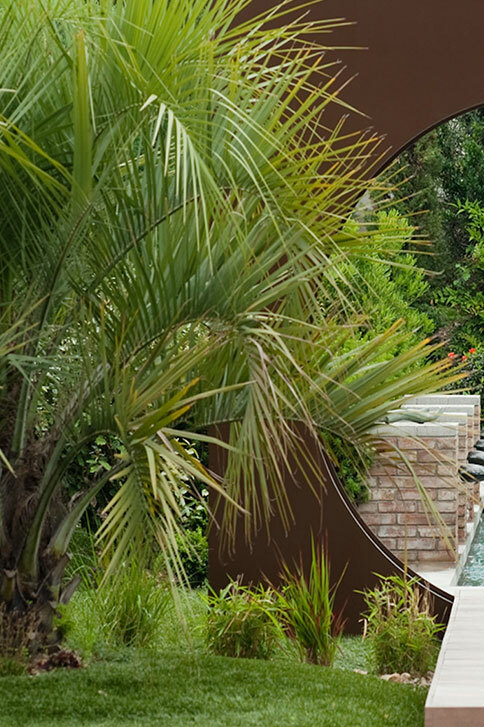 Our family garden designers and horticultural experts are standing by to create your perfect open-air haven. Get in touch for a free consultation or take a look at some of our favourite past projects. 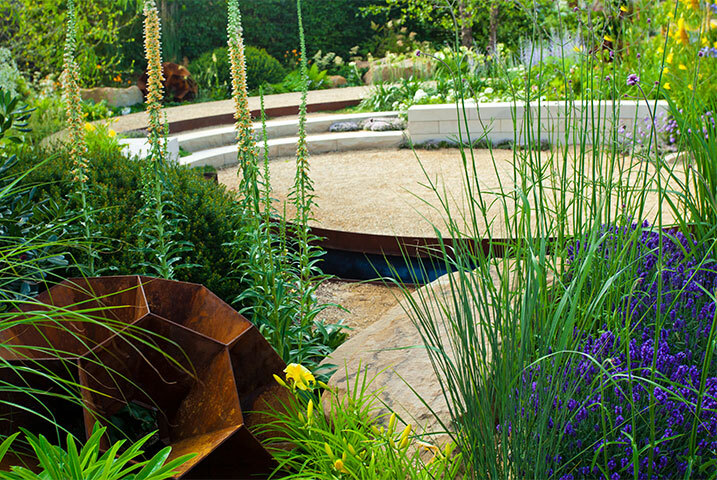 Jonathan Mark are specialists at designing family gardens with a sense of family and space. For a free consultation, don’t hesitate to get in touch with us.